In a row following Nepal’s migrant crisis, Nepal Government has declared its plans of integrating all systems and statistics related to foreign employment services. Currently, the Nepal Government is ‘only’ keeping a track of the number of migrants flying abroad. However, it does not keep track of information on individual migrants. According to the existing government data, over five million migrant workers are working in foreign destinations. Most of these workers go through labor re-entry process, making it difficult for authorities to keep a track of the exact data. “Due to lack of authentic data, we have been facing problems at times when government wants to formulate any policy related to migrant workers,” says Prakash Dahal, Spokesperson, Nepal Ministry of Labor Employment Social Security (MoLESS). To address this situation, the Ministry says that it is gathering all information and gearing up to launch an integrated system from September 10, 2018. “We are going to launch the system to avoid the mismatch in data related to foreign migrant workers and other related information,” adds Raju Shrestha, Senior System Engineer, MoLESS. As per MoLESS, the new integrated system will have a software that can be accessed by all concerned bodies including MOLESS, Department of Passport, Department of Immigration, Department of Consular Services, government agencies, international Nepal embassies, diplomatic missions and manpower companies. 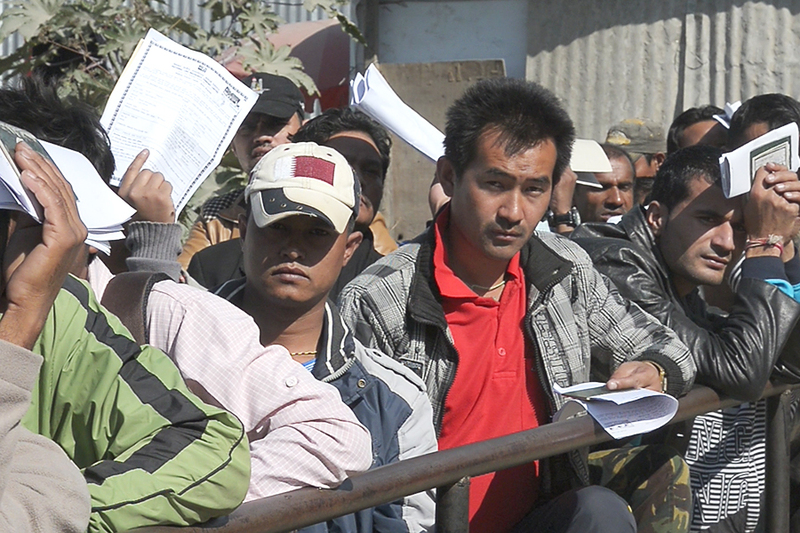 “When system is launched, the employer and other related offices will just have to provide migrant’s passport number and all details will be displayed on the website, which will help the respective organizations in any other future works related to the migrant workers,” informed Shrestha. Although, each entity will be get restricted access specific to the requirement. “When we start collecting data of migrant workers as per new system, we will be able to ascertain their knowledge, experience and efficiency of their work to help promote self-employment in the country,” said Dahal. We hope that the new system will be effective in addressing the many concerns surrounding migrant workers and moreover assist the government in creating some really benefiting migrant policies.